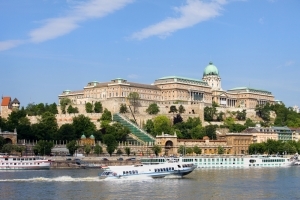 Located on the Castle Hill, on the bank of the swift Danube, the Royal Buda Castle is Budapest’s most popular building among tourists. 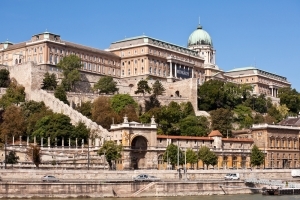 For many centuries the Buda Castle complex had been developed so dynamically that today it is often called "a city within a city". The whole area of old Buda is indeed hidden behind the huge walls of Budapest’s stronghold, and within it, besides a Renaissance castle and a neoclassical palace, there is a cluster of old buildings, churches, squares, and narrow streets. One day is certainly not enough to enjoy the spirit of old Budapest, walking along the narrow streets of the former stronghold without haste, admiring roofs with ornamental tiles, church domes, towers of Gothic castles and the fancy arches of the Fisherman's Bastion. 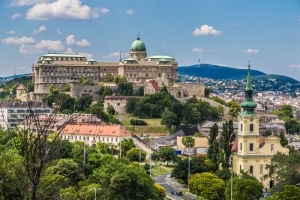 The most popular castle buildings that are a must-see even if your stay is limited include: the Royal Castle complex, Matthias Church, Holy Trinity Square with the Plague Column, the Fisherman's Bastion, Sándor Palace, and the House of Hungarian Wines. It is best to start a tour around the castle area from the main square, i.e. Holy Trinity Square. In the middle of the square stands a Baroque marble statue erected in 1713 as a token of gratitude for saving the city from the plague. That is why the magnificent Holy Trinity Column is more often called the Plague Column. Nearby the Plague Column is the facade of the old Church of Our Lady of Buda. Although it is dedicated to the patron of Hungary, it is called Matthias Church by Hungarian people as a tribute to Hungary’s greatest ruler. Experienced by numerous wars and destruction, the church was redeveloped in the 18th century and since then it has been one of Budapest’s symbols. Gothic architecture, ornamental slats, colourful rhomb tiles, numerous turrets and a high snowy-white bell tower give the church solemn dignity even outside and make it extremely beautiful. 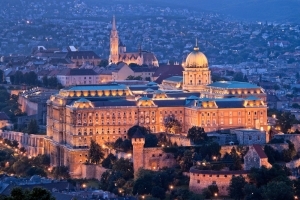 The finest part of Buda castle complex is the Royal Castle, turned in the 20th century into a cultural centre of the Hungarian capital. 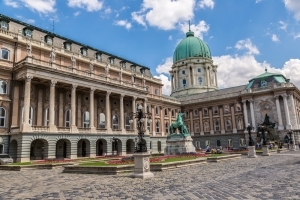 Today in four palace sections there are expositions of the National Gallery, the Historical Museum is in the fifth section, and the National Széchényi Library is in the sixth one. The huge palace complex crowned with a great dome has more than 300 metres and is surrounded by many arches, gates, fountains, and sculptures. We recommend climbing to the Fisherman's Bastion, erected at the beginning of the 20th century in place of a medieval fish market, to those who want to admire a unique panorama of the Danube and Pest (eastern part of Budapest). The design of the bastion itself, which is embellished with towers and arches, is already an interesting view.